One frequent complaint about musicals is the characters who are always just bursting into song. That’s unfair. In a good musical, the songs serve to propel the arc of the character or the story, conveying a heightened sense of emotion. Bursting into song doesn’t disrupt the reality. It rises organically from it. “Mamma Mia! Here We Go Again” is not a good musical. 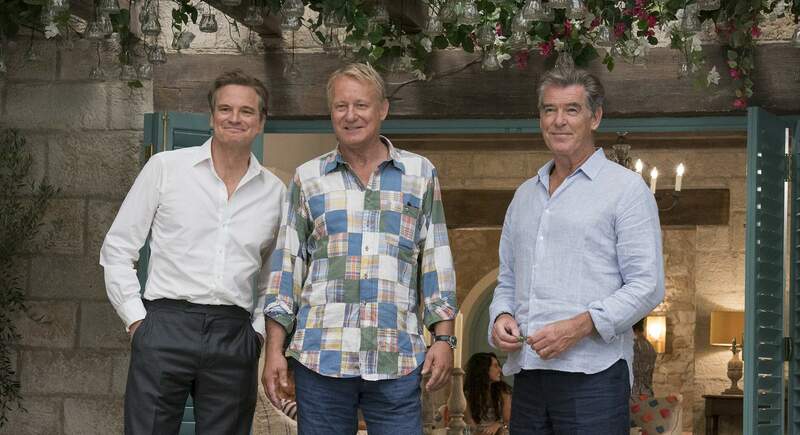 In this sequel/prequel to 2008’s unnecessary but charming “Mamma Mia!,” a jukebox musical featuring the songs of Abba, we join Sophie (Amanda Seyfried) a year after her mother, Donna (Meryl Streep), has died. Sophie is about to open a hotel on the Greek island of Kalokairi, partially in memory of her mother and partially so something can go wrong. Needless to say, no one comes to a “Mamma Mia!” movie for the plot. They come for the Abba. While any similarly conceived musical might struggle with jamming songs into a story they were not written for, the music must still function in the way songs do in traditional musicals. If they can’t do that, they at least must provide some fun. Here, they do neither. That’s not the fault of the Swedish pop group, a staple of 1970s Top 40 radio. But nearly every performance of their songs is utterly joyous, as though the actors can’t wait to get back to the beach and spend their paychecks. That makes the one big, energetic dance number – “Dancing Queen” – jarringly stand out. Its exuberant, enthusiastic energy seems to belong in an entirely different movie. Most of the performers in the flashback subplot are game enough to at least attempt to bring in some of the qualities of the actors who portray their later selves. Jessica Keenan Wynn, as the younger version of Tanya, channels the look and mannerisms of Christine Baranski. Hugh Skinner, on the other hand, playing Colin Firth’s young would-be doppelganger, was apparently cast only because they’re both white men. Everyone else is somewhere in between. The screenplay – written by Ol Parker, who also directs – fails everyone. James tries her best to bring Streep’s original spirit into her performance, but the only reason we know that her version of Donna is quirky is that she wears a floppy hat, has mysterious access to unlimited financial resources and has a personality that verges on obnoxious. .
It’s possible to enjoy a bad movie, or even a dumb one. But when bad and dumb come together in an unholy Reese’s cup of moviemaking, the mix becomes unpalatable. Yes, you can dance. Yes, you can even jive. Yes, you can be having the time of your life. Just not here.